How many frames does a Solar Extractor hold? We have been taking advantage of the sunshine this week and melting down old frames from last season. The frames have a combination of broken comb, solid stores and just poor state. We feed all our colonies at this time of year with fondant. 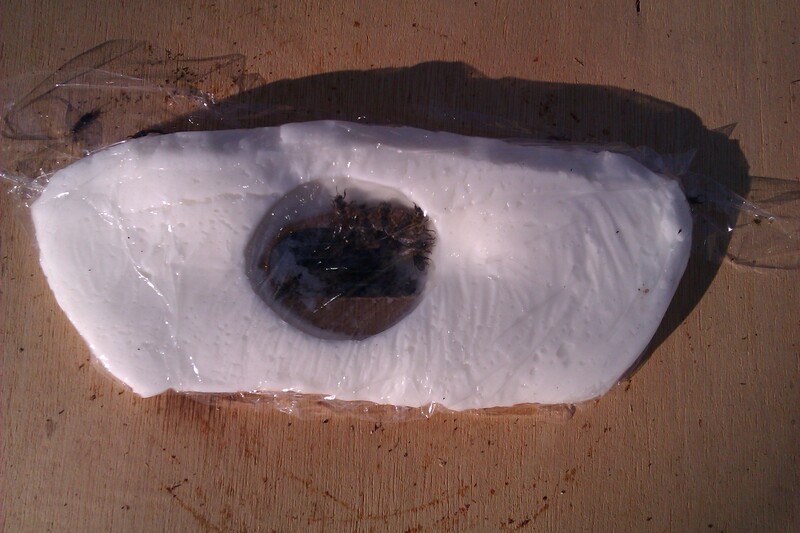 The fondant is wrapped in cling film with an exposed surface placed over hole in the crown board. This keeps the fondant fresh and prevents it drying out whilst enabling easy inspection to check that the status. The attached picture taken yesterday clearly shows this. The bees in my home apiary are in full flow, pollen is pouring into the hive. Here are some photos of the sources in my garden. 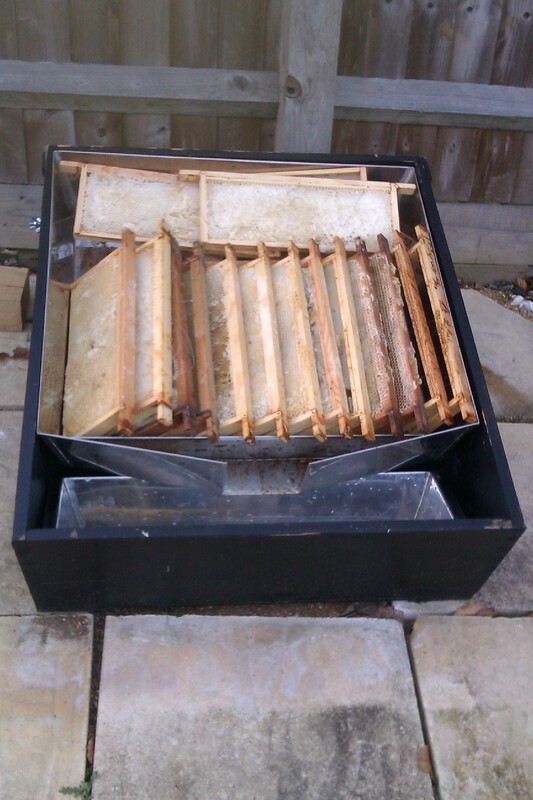 You are currently browsing the Mid Bucks Beekeepers Association Blog blog archives for March, 2012.